/ Modified oct 11, 2017 4:41 p.m.
Money is going to the Navajo Nation to soften the expected closure of the Navajo Generating Station. The U.S. Department of Commerce is giving $624,085 to communities across Arizona to help recover from a downturn in coal mining. 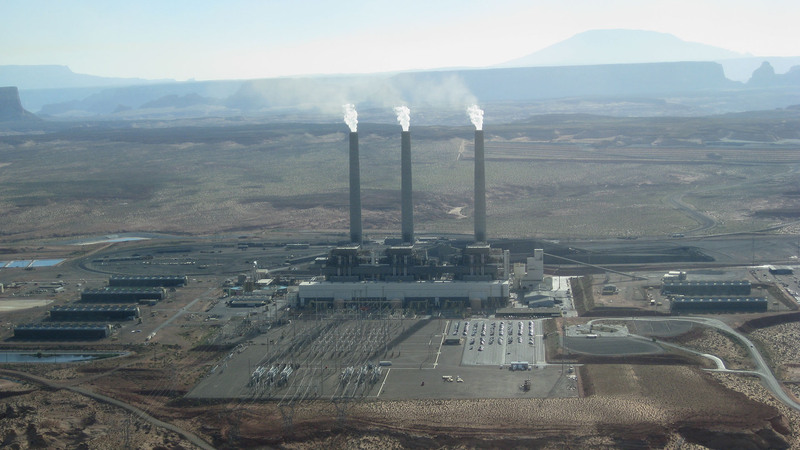 The Navajo Generating Station near Page is expected to close. The loss of that facility hits not only jobs in Page, but also on the Navajo and Hopi reservations. The federal government is giving $154,016 to the Navajo Nation to help prepare for the closure of the coal-fired power plant. The Hopi Tribe is receiving two different grants totaling $265,805. One will help to prepare for the closure of the coal mine in Kayenta. That mine supplies coal to the Navajo Generating Station. The second grant will help the Hopi prepare to diversify their economy when the mine closes. Arizona State University is receiving $99,999 to help Page transition from coal production to renewable energy production. The City of Holbrook received $104,265 to help develop an economic recovery strategy following the closure of an area coal mine. The Department of Commerce handed out $30 million across the country to assist communities that lost coal mines or related industries.